Tell us about the waterfront property you would like to find and we will do a customized search for you of the statewide MLS system and all other sources we have, emailing you all the listings (with photos and details) that meet your criteria. On Lakefront Properties: With nearly 6,000 lakes and ponds in Maine, you will find they vary widely in characteristics. If you would like to see a list of lakes located in each county – or if you like more information about a particular lake (size, depth, shape, fish species, amenities, and activities allowed) click on Maines Lake & Ponds Information. On Seasonality: Many waterfront vacation or second homes in Maine are used only seasonally from Spring to Fall. This may be due to the owner’s personal schedule, or it could be because of infrastructure issues like no insulation, limited heating, seasonal water supply, no formal foundation, or the access road is not plowed in the winter (which doesn’t mean they can’t be charming!). So be sure to specify if you want year-round or seasonal. 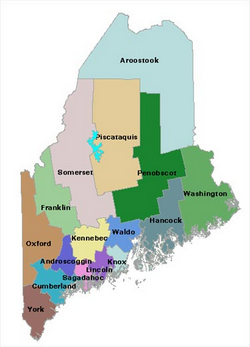 If you would like more information or guidance on any of these issues, please contact any of our brokers, all of whom are specialists in Maine’s waterfront properties. Pamphlet - "Ten Important Tips You Should Know Before Buying Waterfront Property in Maine". Maine's Waterfront Newsletter quarterly which includes our "Best Buys" property list. BUYER'S BONUS: We offer our Buyer's clients a 5 day/4 night cruise for 2 aboard choice of Carnival, Royal Caribbean, Norwegian, or Princess Cruise Lines to Mexico, the Bahamas, or the Western Caribbean upon close of escrow. Click Cruise for Details!